On the right you see his faithful companion, the fighting-monk Musashibō Benkei. Visions of the Japanese warrior in his many forms loom largely through the history of East Asia and through popular sentiments of what being a warrior is all about. Martial arts and the profession of soldiery are described in Japan as a “path” or “way.” This implies that such disciplines are not reducible to technical skills, but represent an ideology. Indeed, a continual refrain from the distant past to the present is that the spirit of the warrior lies at the very heart of Japanese people and Japanese culture. In this course, we seek to examine the character of the Japanese warrior throughout history to determine what constitutes the worldview of Japanese combatants and if such worldviews have maintained any consistency over time. More specifically, we will look at archetypical warriors using prototypical weapons in exemplary battles through famous literature, films, and historical accounts. 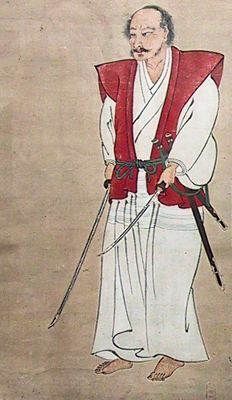 Miyamoto Musashi (1584-1645). He was the master of the two-sword fighting style, who was obsessed with Buddhist philosophy. 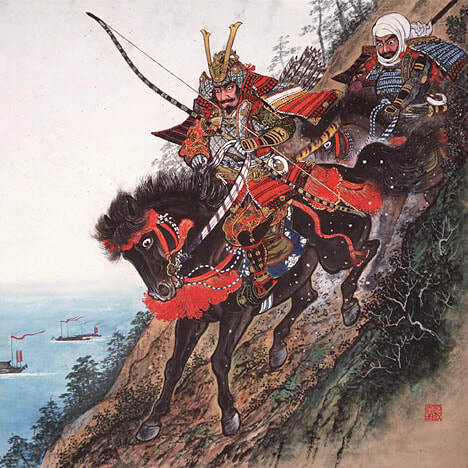 · What motivates the fighting man of Japan through the ages? · Is the Japanese warrior tradition dependent on the suppression of new weapon technologies? · Is the samurai of old admired as a man of cultured refinement or as a person of simple tastes and pleasures? 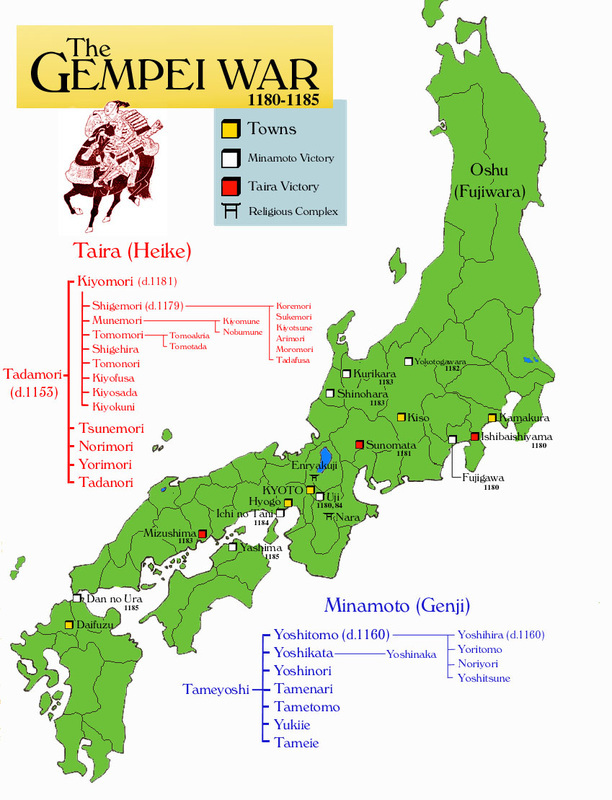 · Are the conflicts which involved Japan's medieval Buddhist institutions generally of a religious or political nature? · What is the role of pride for the fighting man? · How would you describe the relationship between the individual and the group with regard to samurai and soldiers? Are they “team players” or “lone wolves”? · To what extent does the “way of the warrior” become a spiritual worldview in and of itself? · Does the apparent suicidal tendencies of Japanese warriors compromise their combat effectiveness? 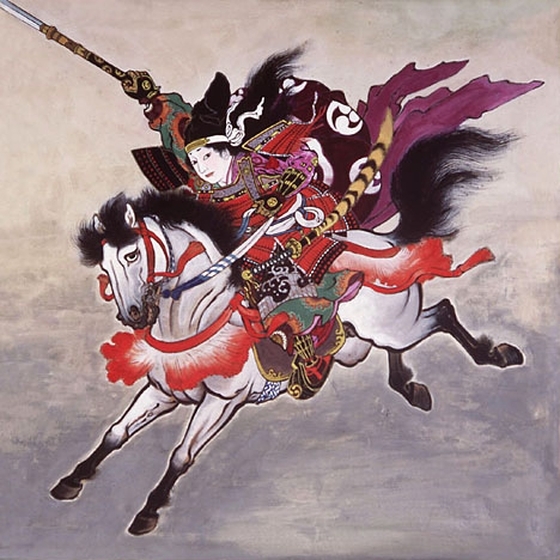 · What pop cultural characters and themes (both East and West) borrow from the image of Japan's warriors? · What are the key markers of a “good” fighter and “bad” fighter? Can we easily tell who are the good guys and who are the bad guys in the battles we consider? · How does specific weaponry help to evoke a romantic fighting spirit with respect to the bushi?